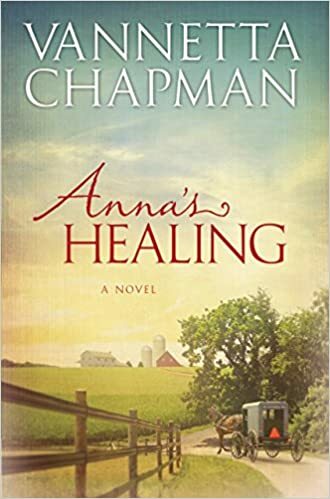 In just a little while it seemed Anna's Healing soon had me turning the pages. I became so engrossed in Anna's everyday struggle with her new reality that I even forgot the name of the book. Vannetta Chapman great storytelling had me laughing and the next minute crying. With the detailed descriptions I could hear the roar of the tornado passing through, I could see the corn growing over my head, and imagine myself stopping by the small fruit stand. Anna's Grandmother Ruth was so inspiring and she remained my favorite character throughout. She was a prayer warrior that never stopped believing and having faith. She had incredible strength to be there everyday and never wavered under the pressure. What a great story that seemed so true to life. It even had me wondering a time or two if this was a true story!